Dr. McMurray was born and raised in Salt Lake City, Utah. He served a full-time LDS mission in the Seattle, Washington, area and then returned home to continue with college where he met his wife, Connie, and they were married. He graduated with a Bachelor’s of Science degree from the University of Utah and then went on to graduate from the Medical College of Virginia / Virginia Commonwealth University School of Dentistry. Following graduation, they moved to the small town of Okanogan, Washington, where he practiced in a community clinic for five years, treating a very large underserved population. In 2001, he and his family relocated to Boise and eventually joined up with his old friend, Dr. Brad Williams (they go back to elementary school together). Dr. McMurray enjoys getting to know his patients and he truly values their trust and friendship. His practice is broad and includes all phases of dentistry ranging from kids, to adults, to those with special needs, from cosmetic dentistry and implants to root canals and braces. Dr. McMurray has been the Chief of Dentistry at St. Alphonsus Regional Medical Center for many years where he treats a large number of pediatric and special needs patients. He is heavily involved with the Head Start programs of several counties and for the past several years has coordinated the Give Kids A Smile annual free dental program for the Southwest Idaho Dental Society. Dr. McMurray is a Mentor with the CEREC digital dentistry program and is excited about what the future holds for dentistry. Dr. McMurray is actively involved in his church and community and has worked with the youth and particularly the Boy Scout program for over twenty years. When not involved with his practice, Dr. McMurray enjoys anything outdoors and spending time with his wife and five children. Dr. Brad Williams grew up in Salt Lake City, Utah, and Scarsdale, New York. He attended the University of Utah before earning his Doctor of Dental Surgery degree at the Medical College of Virginia School of Dentistry. He also completed one year of postgraduate residency at the University of Utah in 1996. Having grown up with a love of the outdoors, Dr. Williams decided to set up roots here in the Treasure Valley. In 1997, he bought his Meridian practice from Dr. Humbert Valenti, and with a strong work ethic and his dedication for the best quality care, he continues on the legacy of creating not only great smiles but lasting relationships with his patients. Along with his other business partner and childhood friend, Dr. John McMurray, who joined the practice in 2001, the practice has thrived because they share the same vision for excellent dental care. He maintains his passion for the highest quality care by taking hundreds of hours of continuing education courses in various aspects of dentistry such as orthodontics, implants, and endodontics. When he is not working, he enjoys fishing, camping, skiing, and spending time with his family. Dr. McMurray and Dr. Williams are dedicated to providing exceptional dental care in Meridian, Idaho, and the surrounding communities in Idaho. With many years of combined experience in dentistry, our dentists can help you achieve all of your smile and oral health goals in a comfortable and friendly environment. Offering services from general and cosmetic dentistry as well as wisdom teeth extractions, dental implants, and dentistry for special needs children and adults, our team of dental professionals can enhance your smile and your dental experience. We even offer emergency services and provide sedation dentistry for your convenience. We invite you to contact Legacy Smiles Family Dental today to receive the exceptional care that you deserve and enjoy the benefits of a healthy and beautiful new smile. Kari is our Practice Manager here in the office. She has been in the dental field for over 20 years, and she has worked as both a Dental Assistant and front desk manager. She has loved working in the dental field, and she loves working with patients. We look forward to having her at our office. She has a family with two kids, and she has recently become a new grandma. She enjoys white water rafting and crafts, planning parties, and decorating. Works in our business office. She has worked in the dental field for four years. Her favorite part of her job is building relationships with patients. She loves to bake and play with her dogs. She loves camping, fishing, hiking, and spending time with her family. We are so excited to have Hannah working with us, she is loved by all. Abbey has been a wonderful asset to our office. She has been an assistant for 4 years. She is over our orthodontic services at the office, and she comes from an orthodontic background. She is a very knowledgeable assistant. She enjoys spending time with her family and dogs. On her time off, she also enjoys reading and playing video games. 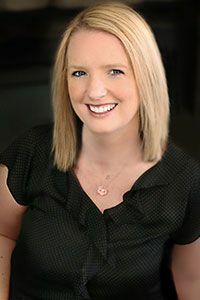 For over ten years, April has been providing compassionate dental care to our patients at Legacy Smiles Family Dental. She received her EFDA (Expanded Functions Dental Assistant) Certification from Boise State University, and she is also DANB (Dental Assisting National Board) and BLS (Basic Life Support) certified. April is one of our most gentle and talented assistants. She is a favorite with all of our patients because of her never-ending patience. April resides in Eagle with her husband, Travis, and daughter, Sierra. When she isn’t working, she enjoys snowmobiling, reading, and golfing. Katie joined our practice in early 2017, and she is a wonderful assistant. We enjoy having her fun personality in the office, as well as her eagerness to learn all she can and to be her best. Katie has a family with a two-year-old daughter. She enjoys camping and spending time with her family. Peggy has been at Legacy Smiles Family Dental for over sixteen years! She earned her EFDA (Expanded Functions Dental Assistant) Certification from Boise State University and she is certified in BLS (Basic Life Support). Peggy is one of the gems of our office; she has been here longer than anyone else, and she is the glue that holds our team together. She is truly passionate about each and every patient. Peggy lives in Kuna with her dog, Maggie. She enjoys gardening, spinning wool, and cooking in her spare time. Fernando is originally from San Diego, California, and has been living here in Boise for over a year. He served proudly in the US Marine Corps. He feels blessed and grateful to be placed in a position where he can contribute to patients’ wellbeing. Fernando has over 11 years of experience in dentistry; four of those years have been as a registered dental hygienist. He am laser certified, BLS certified and continues to improve his skill daily. He looks forward to meeting you, and wants you to feel free to ask him anything when you are properly introduced.